Kane Baker feels like he’s coming ‘home’ as an improved fighter ahead of his return to action at the Venue in Dudley next month. Baker, Midlands champion Tyler Denny, Kane Baker, Les Byfield, Ryan ‘Stewart’ Davies, Danny Ball and Humza Ali will occupy the home corner after the first bell. Baker featured on the last Venue show on June 9 of last year, outpointing Danny Little as he’s also done to Dan Carr, Kristian Laight and Yaddollah Ghasemi at the same place. The game Brummie welterweight, from Bartley Green, has since lost three of four pro contests, but all away from home against quality opposition. First Conor Benn – son of legendary former world champion Nigel – inflicted a first pro defeat on him and by TKO in town at London’s famed York Hall. He then traveled to the SSE Arena in Belfast to tackle Gary Cully, seeing the four-round distance even after being cut and down. Baker then laced on the gloves in the West Midlands again at Birmingham city centre’s Holiday Inn Queensway, seeing off Chris Adaway over-the-distance to complete his 2017. He pulled out of the BCB Midlands Boxing Super Series in the new year, though, which could have seen him challenge for the area title down at super feather. He instead appeared again at York Hall to take on a third undefeated prospect after Benn and Cully, pushing Sanjeev Sahota close before losing by one point after eight rounds. The 27-year-old is now looking for his sixth win in nine contests at the Venue, before travelling back to Belfast to tackle highly-rated puncher Sam Maxwell on April 21. 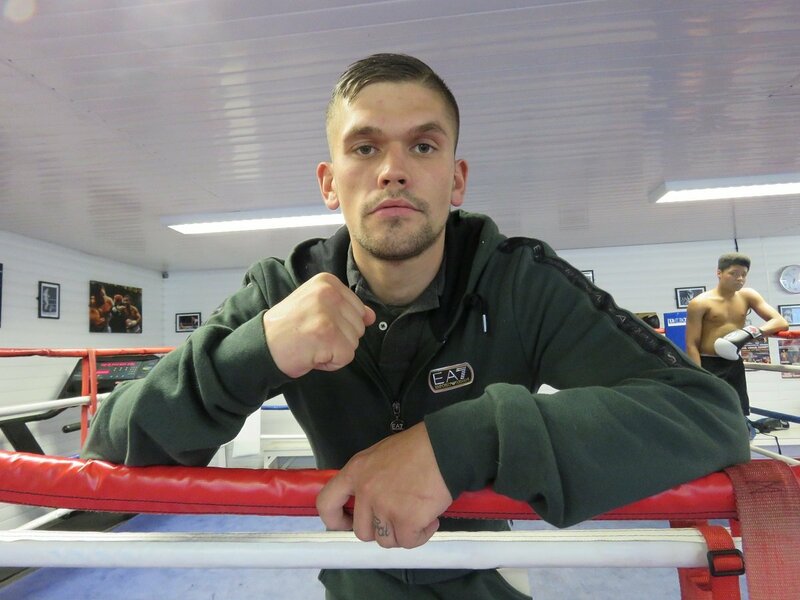 Baker said: “The Venue is like home to me, I’ve boxed there three times as a pro and a few times unlicenced. I’ve been to some nice places, but I’m looking forward to going back. “It’s nice and local for my fans and not too last minute for them, so there should be a good crowd there to support me. “Conor Benn and even my last fight in the West Midlands seems like a long time ago. I’ve put myself in the deep end a bit and it’s all a learning game. “That’s what I’m in boxing for, the big nights that get you excited, and we took over 100 of my supporters to York Hall for Benn. It was almost like the Venue in there. “I didn’t get much notice to take on a good fighter like Gary Cully, but I gave it my best and lost to the better man. He’s a nice lad, too. “It was one of my best experiences in boxing, I loved Belfast and there was just me and Coral (wife) who flew out there, none of my fans or coaches could make it. “Adaway was a different sort of test, he come and had a good go and I learned a lot from him. You do from all of your opponents. “I had a holiday booked and paid for before the Super Series, so the weight became a problem although I still think I can go down the divisions. “York Hall rocked and to go back there as the top of the bill was top class, eight rounds was a long time to be in there but I did well. “I let the Benn fight go to my head and I was a lot more composed against Sanjeev Sahota, I knew it was close and I wish him all of the best. “I wouldn’t change anything about how my career has gone so far and I dream of becoming a Midlands champion one day, but my main aim is to take on the top prospects. “I want to be able to tell people I’ve fought them when they go on to be stars down the line, I need to put on a show in Dudley and then it’s on to Sam Maxwell. Tickets, priced at £35 or £50 ringside with waitress service are available by calling 07976 283 157 or Kane directly on 07950 933 880.